Perfume is always such an elegant, personal thing. It's also ridiculously hard to describe in words exactly what it smells like, but here I am giving it an honest go. 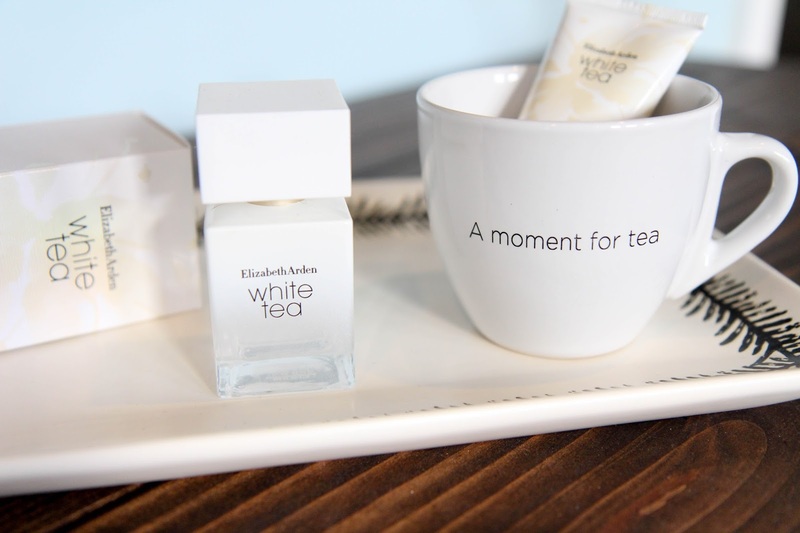 The Elizabeth Arden White Tea Perfume is the type of perfume that keeps surprising you. To me it changes the way it smells from day to day. I know that's not really possible, but every day I put a little bit of this on, it resonates slightly different with me. It's super light and crisp scent with a few deeper undertones to keep things interesting. It feels mature without being grandma perfume status. It's not fruity, but not musky either. It's somewhere in between with a soft balance. It's worth a sniff if you find yourself near it in a store. Since we are close to the holidays it would be a truly lovely gift for a sister, mother, or friend since it rests so perfectly in the middle of perfume profiles. I feel truly elegant when I put this on every day. And that's what perfume should do, right? How do you describe perfume to people? Is there an easier way? !